According to statistics, homeowners will make a call to the plumber at least once every three years. Plumbing systems are beneficial because they guarantee homeowners a flow of commodities that they need most. The systems are also crucial for transporting unwanted matter from the homes. When a plumbing system fails, it will result in an unwanted mess and a contamination that could lead to the transmission of illnesses. Plumbers help households every day to minimise the impact of bursts and leaks. According to EPA, households across the state waste more than one trillion gallons of water annually through leaks.This loss can be avoided and will help save the water so that it can be utilised elsewhere. It is always important to note that water is a resource that is diminishing and should be conserved. If you have plumbing problems, get in touch with a reputable company such as arlakeplumbing.com.au that will fix your problems with the utmost professionalism. What causes problems with plumbing systems? Problems with the plumbing system mainly result from wear and tear. As the temperatures and the environment changes through seasons, it brings in cold weather and warm weather. The cold and the warm environment cause the pipes to expand and contract. This expansion and contraction exerts pressure on the pipes and joints and may cause them to break. Breaks on the pipes can also be caused by contamination. When there is too much presence on minerals in the pipes, it can lead to accumulation of matter that affects the flow of water. Too much minerals presence can cause the pipes to corrode and give in to pressure. Let’s look at some of the most common plumbing issues, their fix and how the plumbing problems can be avoided. This is the most common problem in almost any home, and it involves water slowly dripping from the tap. Although most people ignore this problem, it is one of the leading ways that households lose water and end up incurring high bills. To quantify this problem, place a jug over the dripping tap and see how fast it fills. If the dripping is not addressed and continues 24 hours and seven days a week, it could quickly stack up the water bill and lead to the loss of gallons of water. Dripping faucets are usually caused by faulty taps or too much water pressure. This problem can be fixed by tightening the tap mechanism or replacing it with a new one. The homeowner should also ensure that he or she only uses the recommended pipe size and water inlet. This is another common problem. Leaking pipes do not only lead to the waste of money but also encourages mould growth. Mould thrives in wet conditions and can quickly multiply if the leaking problem goes on for a long time without being fixed. Mould contaminates the air in a home and has been known to cause respiratory illnesses in people who live in mould-infested homes. Sometimes the leaking pipes may be located inside a wall. Too much leaking may affect the structural integrity of the house. Leaking pipes are usually a result of wear and tear, which mainly happens near the joints. They can also be caused by physical stress such as being hit by a blunt or sharp object. Leaking pipes are fixed by sealing them or replacing them with a new piece of pipe. Regular maintenance works and proper installation can also prevent leaks. 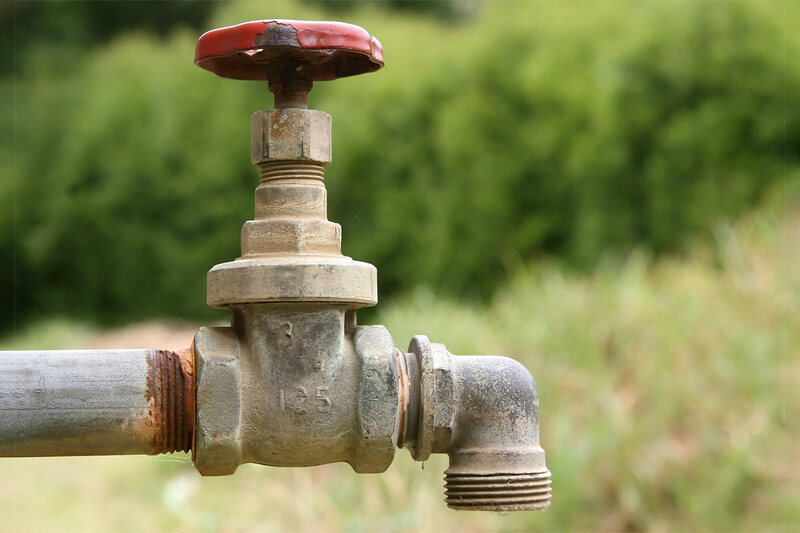 Low water pressure is a common problem that hits most households. In most cases, it results from a blockage in the pipes. The obstruction could result from the pipe being physically stressed by roots or other objects. There could also be an accumulation of matter and debris that could be blocking the path and creating low pressure. Low pressure can be successfully tested and identified where it’s occurring. Once the problem is identified it can then be fixed by replacing the section that was bent by roots or minerals accumulation. If the pressure is low only on showers, it could be an indication that the showerhead is blocked and should be replaced. Low pressure can be avoided by using the recommended materials and plumbing paths. Slow or clogged drains are caused by the accumulation of matter on the drain filters. It could be caused by running matter that is larger than the filter holes or matters slowly accumulating. The problem is fixed by manually clearing the matter clogging the drain. If the drain filter is damaged, it should be replaced with a new one. Clogging of sinks is caused by lack of cleaning and de-clogging drains. Drains should be cleaned and cleared off any debris often. That contraction and expansion can cause the Bibb to crack and leak. A cracked leaking Bibb is replaced with a new one. To prevent this from re-occurring, frost proof bibbs should be installed. A slow draining tab is caused by the accumulation of hairs and other debris in the tap’s filters. This problem can be easily solved by cleaning the filter and avoiding the dumping hair while in the tub. Sprinklers, especially automatic sprinkles, are prone to damage due to accidents involving lawn mowers. Lawnmowers often collide with sprinklers and in the process the sprinkles are damaged. Damaged sprinklers can be replaced with new ones. To prevent further damage, the sprinkler should be installed in a safe location.